Just before we hopped into boats for our tour. When we look at our rivers today, what do we usually see? It is common to see a wide range of plastic products floating about, as plastic is becoming an increasingly used product in today’s world due to the convenience that it brings to our lives. Unfortunately, when we dispose of them in overcrowded landfills, they take an exceedingly long amount of time to degrade as the natural elements fail to break them down to be dissolved into the surrounding soil. Did you know that plastic takes approximately 400 years to decompose? In human years, this means that the plastic used today would still be around and only disintegrate in 2418, which is equivalent to sixteen generations. As someone who has worked in freshwater conservation for more than two decades, I have come to learn that changing Malaysians’ attitude and behaviour is not that easy. Over the years, there have been many anti-plastic and anti-pollution campaigns aimed to inculcate a sense of responsibility and awareness amongst the public. However, plastic waste is still choking our rivers, and poisoning our wildlife. It is clear that we have to try a new approach. This is precisely why WWF-Malaysia made the bold move to organise Asia’s very first Journey of Water (JoW) in April 2018. What is the Journey of Water? The JoW is a WWF event that was first organised in South Africa in 2013 to highlight the arduous journey that a single drop of water took as it made its way to water faucets. Since then it has made a comeback in South Africa in 2015 and 2017. Other nations followed suit, as the JoW was then organised for the first time in Zambia (2017) and Brazil (March 2018). In the following month, JoW made its way to Asia, with Malaysia as its first Asian host from 21st to 23rd April. 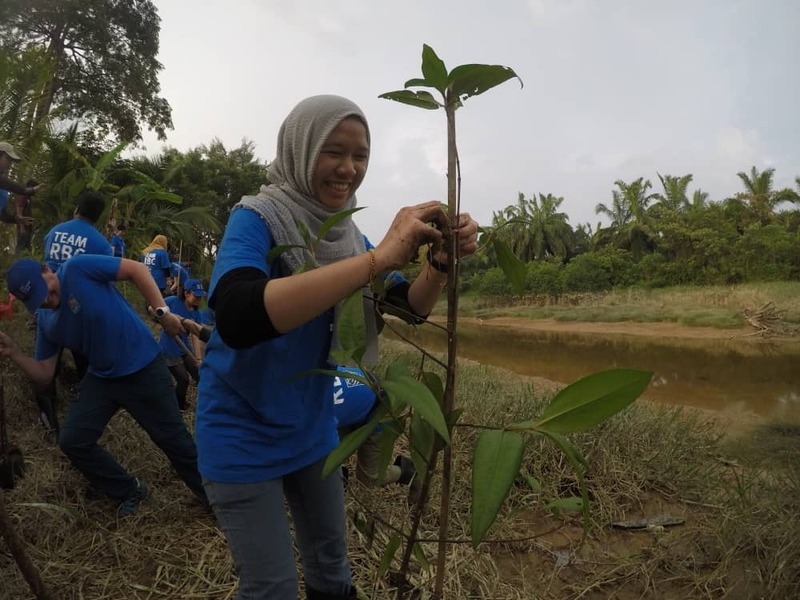 Hosted in the Klang Valley and made possible by the contributions of the Royal Bank of Canada (RBC) and the cooperation of more than ten agencies, 30 volunteers, whom we called Water Heroes (including yours truly and 12 RBC employee volunteers) embarked on an eye-opening journey to discover where our water actually comes from. 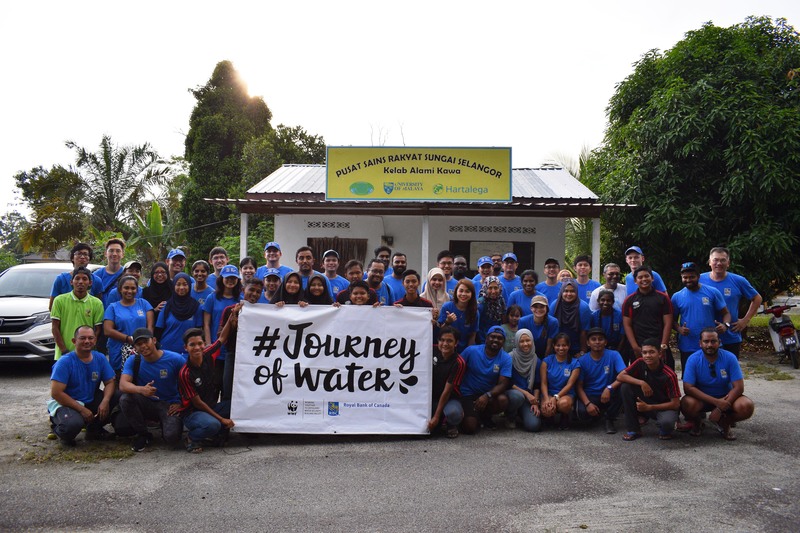 The three-day journey saw us Water Heroes travelling on foot and via vehicles to designated checkpoints in the Klang and Selangor river basins that represented the various stages of water collection and distribution. Day 1, 21st April: Upstream we go! Our JoW began upstream of Sungai Selangor at the Sungai Chiling Fish Sanctuary in Kuala Kubu Bharu. Throughout the day, we had briefings and guided tours given by officers from Department of Fisheries, the Selangor State Forestry Department, the Department of Orang Asli Development (JAKOA) and the Hulu Selangor District Office. 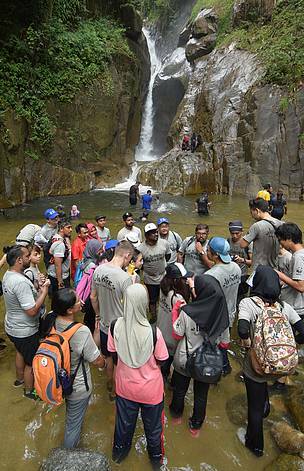 During this leg of the journey, water experts such as Associate Professor Dr Zaki Zainudin from University Malaya taught my fellow Water Heroes how to monitor water quality by taking water samples and explaining the significance of each parameter used. The Water Heroes also learnt about the river classification system based on the beneficial uses of the National Water Quality Standards for Malaysia (NWQS) and the Water Quality Index (WQI). 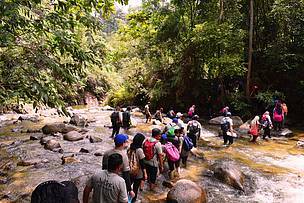 We were told that Sungai Chiling and Sungai Pertak that we visited on Day 1 are Class I rivers, which means that the water is very clean and able to support the presence of very sensitive aquatic species and the conservation of the natural environment is one of its beneficial uses. The second day of JoW saw us travelling midstream to the Sungai Selangor Dam in Kuala Kubu Bharu which provides 60% of Klang Valley’s water supply. This was followed by a two-hour bus ride to the Sungai Selangor Phase II Water Treatment Plant in Bestari Jaya. The officers from Lembaga Urus Air Selangor (LUAS), Syarikat Pengeluar Air Sungai Selangor Holdings Sdn Bhd (SPLASH), and Air Selangor gave us introductions to the restricted water facilities and guided tours afterwards. These visits revealed the numerous behind-the-scenes efforts to store water and treat it for our consumption. We then went on downstream to Kampung Tanjong Siam Baru where members of Kelab Inspirasi Kawa of whom our appointed water expert Affan Nasaruddin showed us how the community maintains the cleanliness of their river. 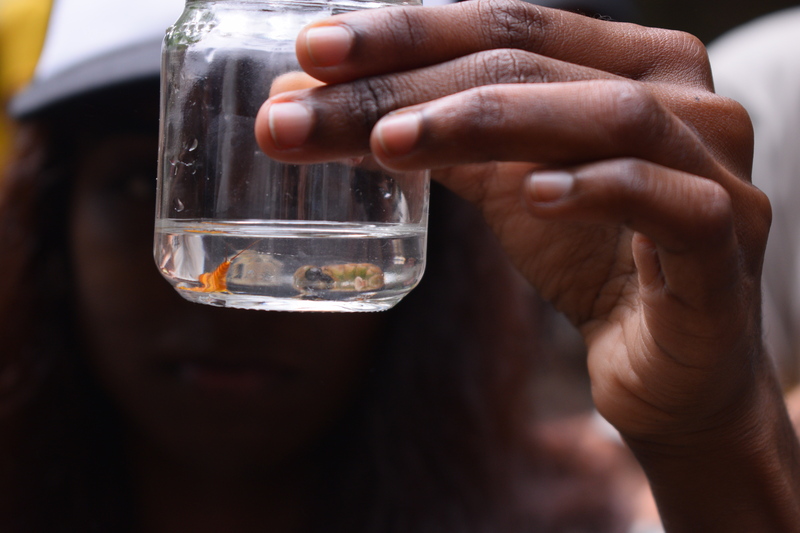 Amongst other things, the group collects waste regularly and analyses how much each waste is collected by weight and what the main components of river pollution are (hint: plastic is number one). 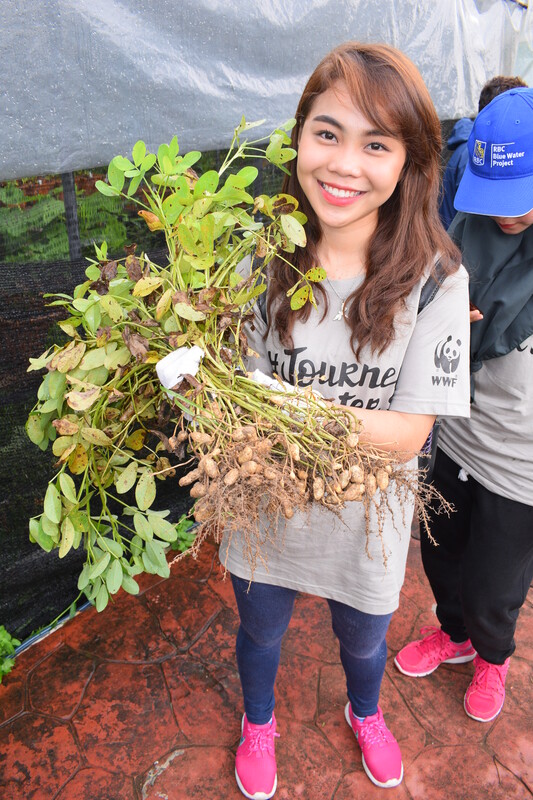 After the presentation, we got our hands dirty and planted mangrove tree saplings on the riverbank. Why is it important to plant mangrove trees? The answer lies in our next visit. 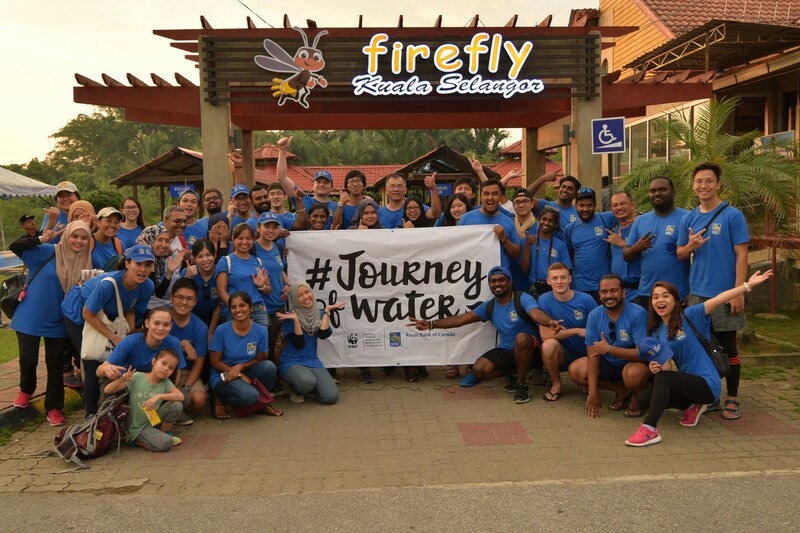 After a scrumptious dinner at Kampung Kuantan, which was prepared by its villagers and a briefing by the Kuala Selangor District Council (MDKS) officers, we hopped into small, motorless boats to observe fireflies in their natural habitat. The firefly species serves as an “indicator species”: they are commonly found in healthy mangrove ecosystems. Mangrove plants are a food source for snails such as Cyclotropis carinata, which in turn are the main food source for fireflies in the larval stage. Hence, without healthy mangrove ecosystems, these organisms would not survive. “My daughter Soraya and I really enjoyed the council’s presentation and the boat ride. I think children in Malaysia should join outdoor activities such as the JoW to enjoy educational experiences amidst experts and fellow volunteers,” said Aishah Sinclair, Mix FM’s deejay and the spokesperson of Yayasan Anak Warisan Alam (YAWA). 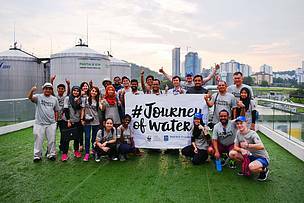 The final day of JoW kicked off with a visit to the River of Life Public Outreach Programme (ROLPOP) Community Garden in Taman Keramat AU2, Ampang. Here, the urban community maintained their community garden without the use of pesticides. They kindly let us harvest vegetables, fruits and herbs, and taught us a few gardening tips and tricks. They also prepared a meal for us utilising the vegetables grown in their very own garden. The journey continued with a tour of the Kolam Biru at Masjid Jamek in the heart of Kuala Lumpur. This was hosted by the Department of Irrigation and Drainage (JPS) and the Kuala Lumpur City Hall (DBKL). As part of the ongoing initiative to clean and beautify the infamous Klang River, the riverbank is illuminated by blue lights at night, from which the project got its name. Our final checkpoint was the Pantai II Sewage Treatment Plant in Pantai Dalam. Here we learnt the various steps involved in processing wastewater from the Indah Water Konsortium (IWK) officers. Our journey ended with a simple closing ceremony, followed by dinner. Water Hero and songbird Wani Kayrie regaled us with live renditions of her popular hit “Aku Suka Kamu” and Zainal Abidin’s “Hijau”. Freshwater ecologist Dr Tajang Jinggut expressed that it was a great opportunity to get to know water agencies, water experts, and Water Heroes during this journey. 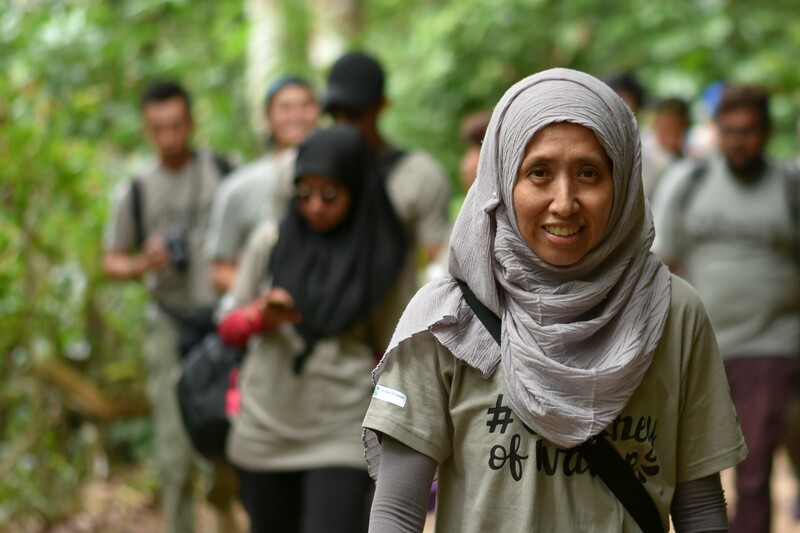 “I can’t wait to see what’s in store for JoW 2019,” the Partnership Development Manager of Tropical Research Conservation and Research Centre (TRCRC) added. I completely agree with Sathyaseelan that we should focus on watersheds. We tend to look at man-made infrastructure instead of finding solutions in green infrastructure such as water catchments, but we forget that man-made solutions are not free from limitations. For example, a water treatment plant is built with specifications tailored to the maximum rate of pollution and known pollutants at the time of construction. However, the moment there is an increase of pollution or new pollutants beyond the plant’s range of limits, the plant would have to be shut down temporarily. When this happens, water supply would be disrupted and consumers will face water shortage, causing them to become overnight water conservationists. However, when the water supply resumes, they would recover from their selective amnesia and use water as if it is an unlimited resource again. So how do we stop this behaviour cycle? Here is the answer: we need to stop polluting our water resources. It is actually not that difficult to reduce and recycle plastic, and dispose of them responsibly. In fact, we could live a plastic-free life. Growing up in Sabah, I remember seeing mothers going marketing with rattan baskets instead of coming home with hands full with plastic bags. Fishmongers wrapped up fish in newspapers, while food sellers sold nasi lemak wrapped in banana leaves. Our homemade nasi campur called linopot was even packed in leaves from the Bornean native tarap tree, and is now a novelty usually served to tourists. If we could use all these methods then, then why not use them again? As I looked at my index finger still stained by the indelible ink from the recent general election, I realised that we should not just sit back and wait for the new government to make change happen. Change must start from within us and the time for action is now. Hence, this World Environment Day, let us be proactive and work together to protect our rivers by beating plastic pollution. We must not just exist in the new Malaysia, but strive to make it a better one. Our journey to the waterfall at Sg Chiling. Water Heroes gather for a briefing on water quality monitoring at our first checkpoint. Macroinvertebrate larvae found at Sg Chiling Fish Sanctuary. Some fun and games with the children at Kampung Pertak. The group at Kampung Tanjong Siam Baru. Water Heroes trying their hands at mangrove planting. Water Hero Wani Kayrie with some freshly plucked groundnuts. Datin Daria Mathew, Freshwater Lead of WWF-Malaysia is also on the journey.